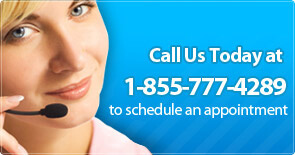 YOUNG-PLASMA is exclusively collected from healthy college-aged volunteer donors. 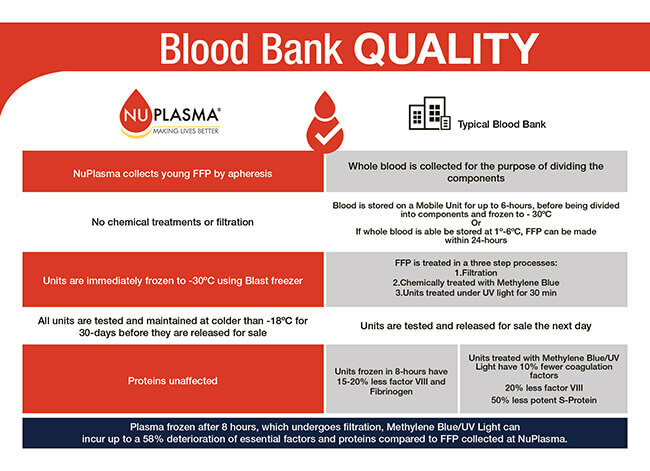 YOUNG-PLASMA is sourced from NuPlasma, a state of the art collection facility, which is a State of Texas, registered and CLIA certified blood bank located in San Marcos, TX. 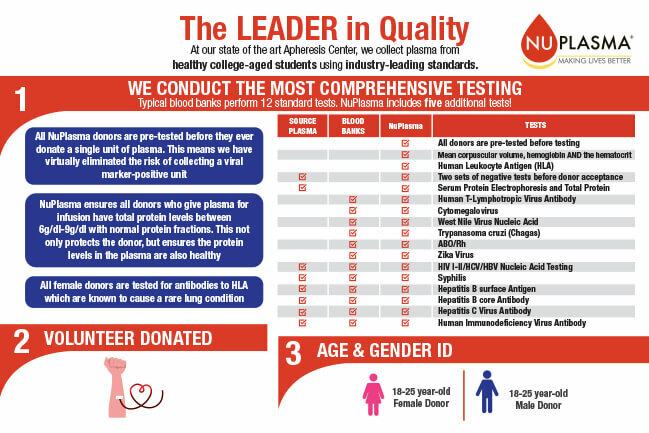 NuPlasma conducts the most comprehensive industry-leading testing standards as evidenced by the following chart.